Something like 2 Gladstone would be awesome for this infill site. College Street has a pretty continuous streetscape, but starts to lose consistency west of Ossington. Filling in this blemish will greatly improve the western part of this street. Btw - what was here before? I believe that the site was a gas station before. 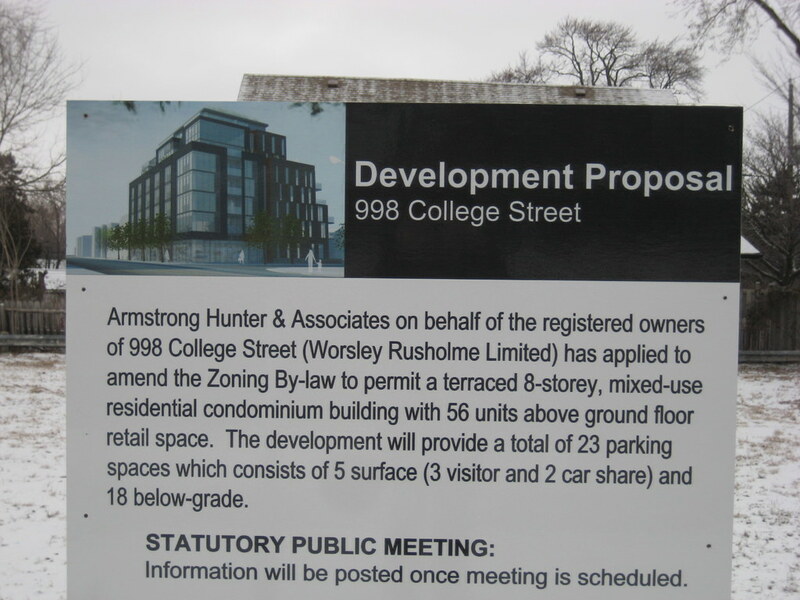 I really hope that nothing faux will be proposed also - but I do believe as well that the proposal for College and Ossington that included faux design was not successful: "The Classics" just became "Block" if I am not mistaken. I don't think that the potential clients here want to buy faux; they are looking for sleek modern design, I hope. I'm trying to figure out which site this may be--surely not that George Popper site which is really Kensington Market area not Little Italy? I hope it is Kensington Market. It's a partnership between Worsley Urban Partners and the Walsh Group, the same folks behind Kew Beach Living. Which urbanation is reporting has broken ground. It's by RAW Design says Urbanation on twitter. one of the best portuguese food joints in the city, with an amazing backyard patio. This project looks like an identical twin to Q-Lofts on Queen St. West...anyone know if it is the same developer? *phew*! I'm so relieved to see a nice contemporary design here rather than the faux that I was dreading (since there is some on this stretch already). Perfect for College Street. More please! There's a recently cleared brownfield site SW of here at Dundas West/Sheridan Ave that could also use one of these quality infill buildings.